The ongoing search for better antibacterial wound care dressings has led to the design and fabrication of advanced functional nanomaterials. Taking advantage of electrospinning and cold atmospheric plasma (CAP), free-standing nanofibrous scaffolds are promising for use in novel biomedical applications. 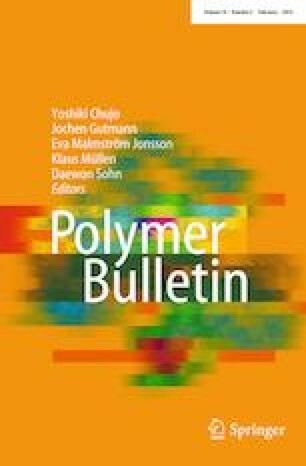 Random and aligned polyvinyl alcohol (PVA)/polyacrylic acid (PAA) nanofiber scaffolds are fabricated by electrospinning and treated with CAP. In this study, we investigate the effects of CAP treatment on alignment, hydrophilicity, antibacterial activity, and biocompatibility in determining the surface properties of the nanofibrous scaffolds. The results of vibrational polarization spectroscopy analysis indicate that CAP treatment changes the degree of alignment of the nanofibers. Furthermore, both random and aligned CAP-treated nanofibrous scaffolds show significant antibacterial activity against the E. coli strain. The results of an in vitro scratch assay reveal that CAP treatment of PVA/PAA nanofibers has no toxic effect. The online version of this article ( https://doi.org/10.1007/s00289-018-2409-8) contains supplementary material, which is available to authorized users. The authors thank the Centre for Materials Research of Izmir Katip Celebi University (IKCU). Partial financial support for this research was provided by the IKCU Scientific Research Project 2014-1-MÜH-15.